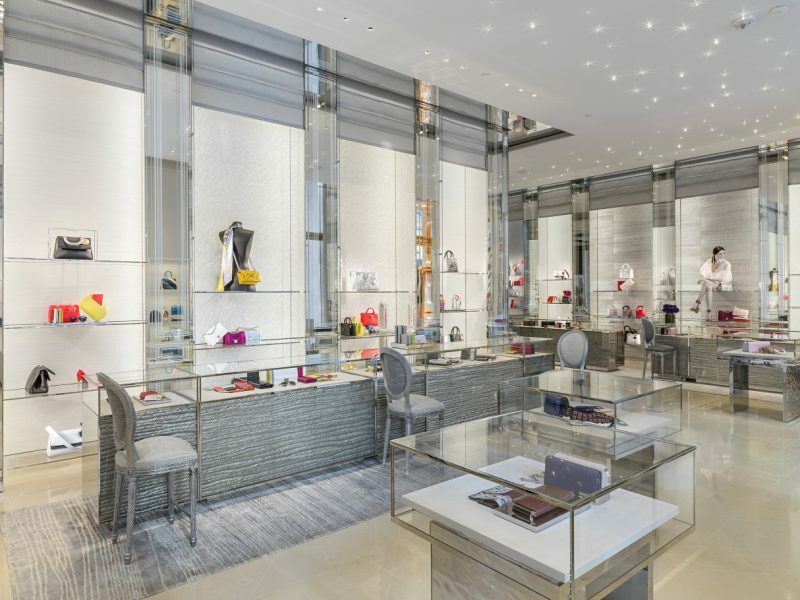 Dior fans in the City by the Bay have a new address to shop for elegant, luxurious creations. 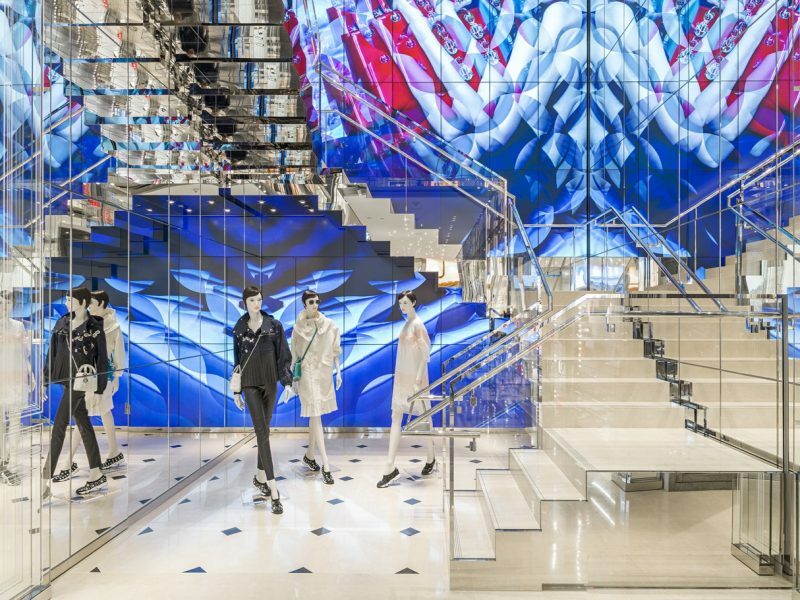 Located next to Art People Gallery, the new two storey Dior store stands out in the neighborhood for its Parisian allure. 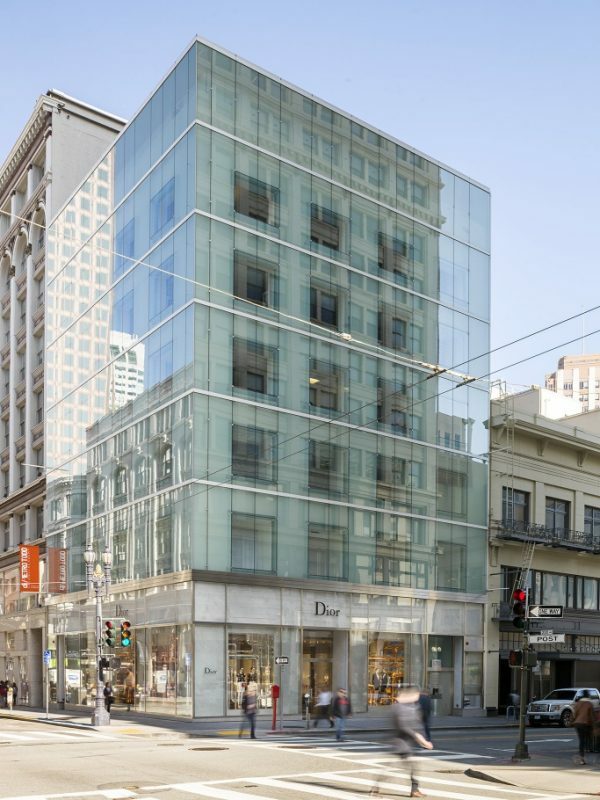 While the architecture and the colors of the facade bring a bit of the French capital in sunny California, visitors and shoppers can step inside to be surrounded by Trianon grays and whites. 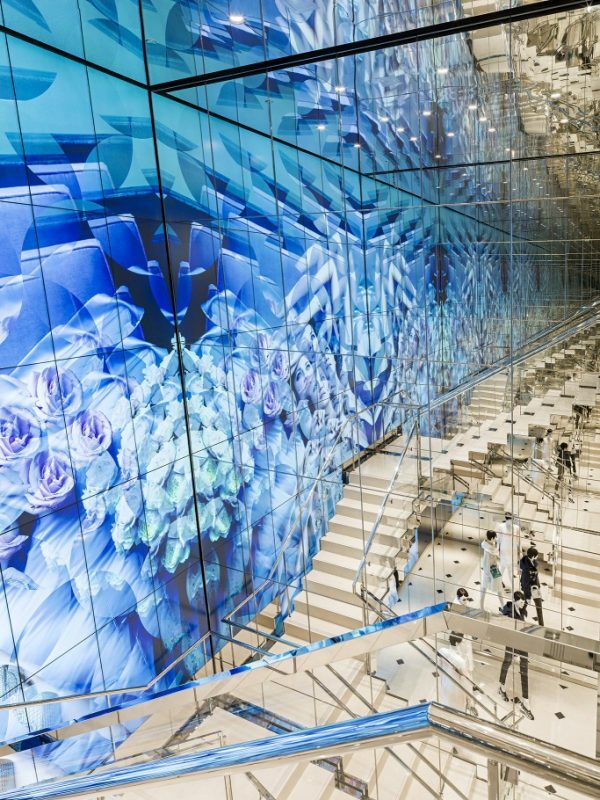 The store is dotted with works of art that up the ante of the latest Dior collections. 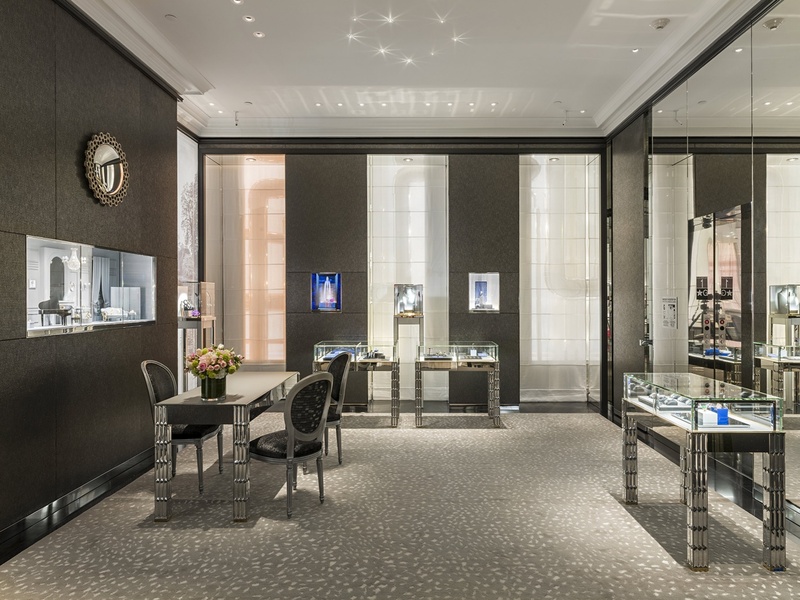 An Oyoram animation is seen near the space devoted to leather goods, while a circular mirror by Laurent Chauvat can be found near the alcove reserved for pieces of jewelry and watches.